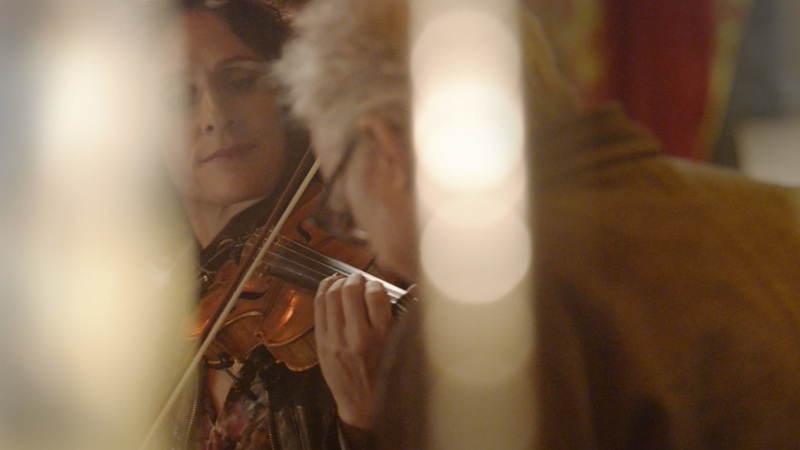 I'm happy to finally be able share this project I filmed for Sony Music as part of the press kit to go with the release of Jenny Scheinman's new album this spring. We captured several live performances and an interview to create a series of videos highlighting the new songs, and discussing how the album developed. Last November, Eli Cane with Normal Life Pictures in NYC called me back just a few weeks after we wrapped a project for Pepsico. Eli needed a DP for a series of videos commissioned by Sony Music to help promote Jenny Scheinman's new solo album. Jenny has played violin with artists from Nels Cline of Wilco, to Lou Reed, and Lucinda Williams, and last year she recorded a new solo album with jazz guitar great Bill Frisell and jazz drum legend Brian Blade. Jenny and Bill and drummer Rudy Royston were in Minneapolis for a concert in early December, so we arraigned for Eli to fly to Minnesota and for the band to stay an extra day so we could film the project after the show. With Eli and the band coming in from out of town, I put together a team for the shoot. The goal for the shoot was not to create a music video synced to the album, but to film live performances of several of the songs off the new album. Logistics of the shoot meant we had to shoot at The Cedar Cultural Center, where Bill Frisell's band performed the night before. The Cedar is a great concert venue to see a live show, but visually offers little more then a black curtain behind the stage. Bringing stylist Susan Calvit onto the team was instrumental, as she helped to build a set to on the stage to compliment the music. Building off the warm folk sound of the music we wanted to build a very warm, bohemian, americana style set. With two full van loads of props, Susan and her assistant Sarah Jean Shervin were able to put together a wonderful set that really condensed the large open space of The Cedar, creating the small intimate performance space on stage that we were looking for. We build our lighting around a number of cool old lamps from the venue's greenroom and a single large light rigged low over the stage, adding literal warmth to all of the props that Susan had sourced. The shoot went incredibly smoothly, once we got the stage set, we filmed several takes of each song, gathering different angles as the band got an audio take they were happy with. As the album has been released, the videos from the project have been featured on MTV.TV, NME.com, WN.com (UK's World News), Yahoo.com, MSN.com, among other sources.